As the world’s two superpowers fight for political and economic dominance in the Asia-Pacific, Catalyst Trust hosts one of Indonesia’s leading foreign policy intellectuals and strategic analysts to discuss ramifications for the region on Wednesday, November 28. Prof Dewi Fortuna Anwar will be Catalyst Trust’s fourth Sir Howard Kippenberger Chair speaker, visiting Queenstown from Victoria University’s Centre for Strategic Studies. Indonesia is New Zealand’s closest neighbour and the biggest economy in Southeast Asia, a leader in ASEAN, the world’s most populous Muslim nation and an increasingly significant actor in global politics. As CSS director David Capie says, “at a time of such upheaval in the regional and global order, it’s vital that we better understand Indonesia and the role it sees itself playing in the future”. Prof Anwar has written widely on Indonesia’s foreign policy and democratisation and on a range of ASEAN political and security issues. 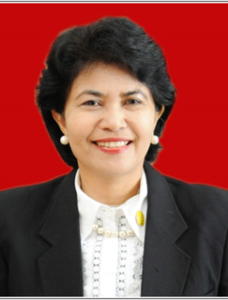 She has served as senior advisor to two of Indonesia’s vice presidents. Wednesday November 28, 7 PM to 8:30 PM, Remarkables Room at the Hilton, $5 koha at door. Registration is required with tickets available through our page on Eventbrite one month prior to the event. Please bring your tickets (printed, emailed or Eventbrite app).